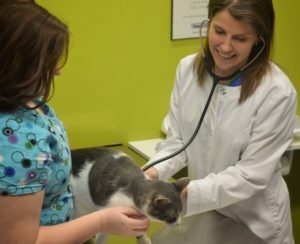 We are a fully equipped facility offering wellness exams and vaccinations, surgeries including orthopedics, spay and neutering, mass removals and emergency procedures. We have a dental suite, x-ray capability, and a full in-house laboratory. We have a full selection of flea and heartworm medication, a stocked pharmacy, as well as prescription diets. All products are sold to our clients at competitive prices with a full guarantee.